Though the performances may be over, their impact continues. 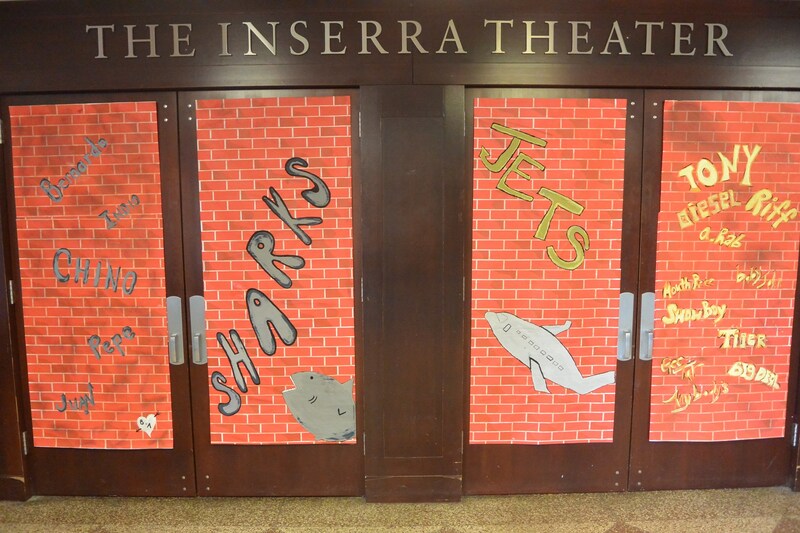 Saint Joseph Regional High School’s production of West Side Story concluded its 12-performance run in February, but the educational impact of the show will continue well past its closing. The acclaimed Broadway musical, with its connection to Shakespeare’s Romeo and Juliet, and with its themes of acceptance and tolerance, was well suited to a variety of educational opportunities. 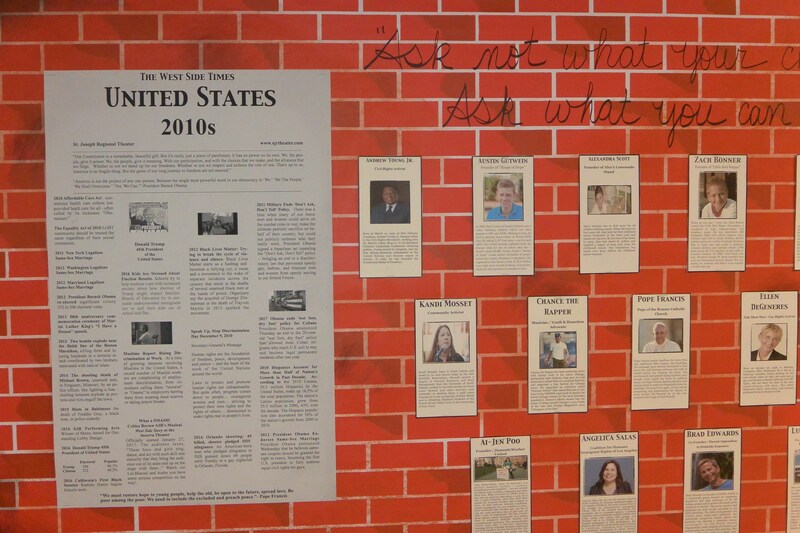 For the show itself, the school’s production staff and parents developed a 22-page Educational Guide, and an elaborate lobby display, chronicling the history of civil rights in the United States. 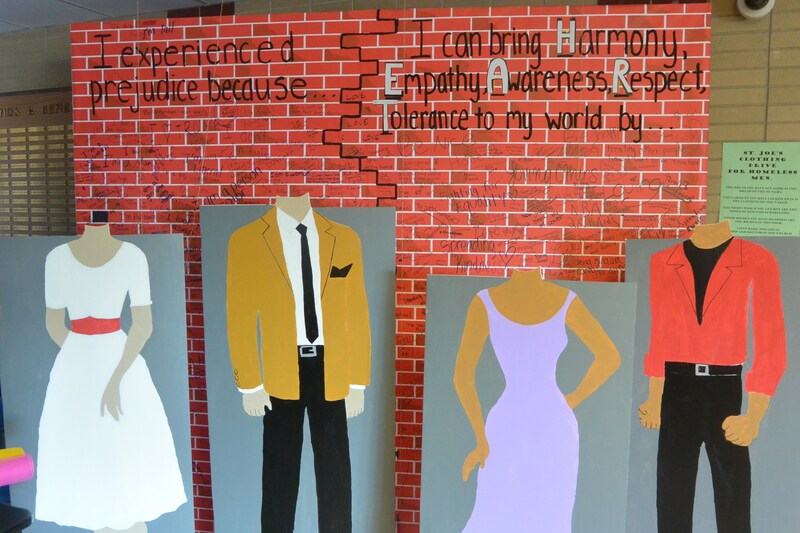 Cast members of West Side Story also created a video in which they discussed their own experiences with prejudice and how they responded to the situation or learned from the experience. 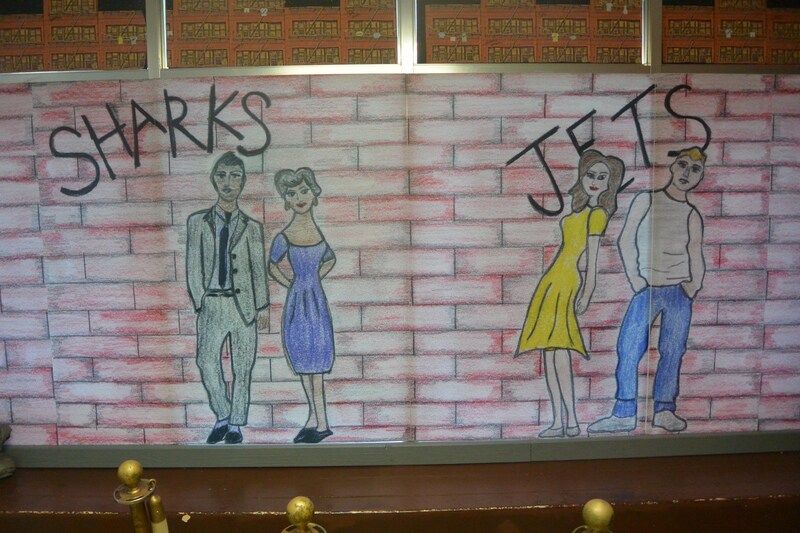 The video was part of the lobby display at each of the performances of the show. The Educational Guide was presented to the Saint Joseph Regional faculty, as well as to teachers of the nearly 500 middle school students who attended two full-length educational performances that included talk-backs with cast members. The instructional manual included lessons on social justice issues (“Diversity of Beliefs and Values,” “The Power of Belonging,” “The Geography of Immigration”) as well as literary concerns (“The theme of Romeo and Juliet”). 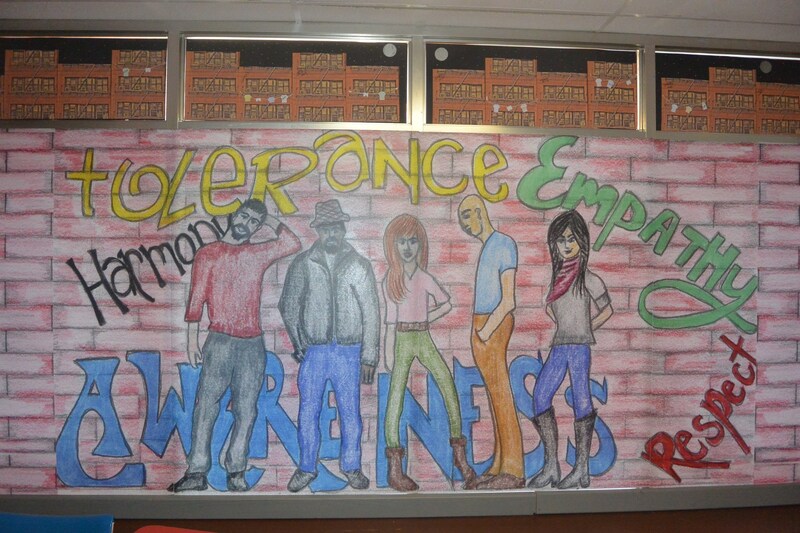 And later in the spring, St. Joe’s will celebrate Project H.E.A.R.T. (Harmony, Empathy, Acceptance, Respect and Tolerance) by offering a variety of assemblies and workshops developing the musical’s themes of accepting the diversity of others and avoiding the destructiveness of intolerance, prejudice and hatred. Saint Joseph Regional High School is a six-time winner of the “Educational Impact Award” from the Papermill Playhouse Rising Star program. 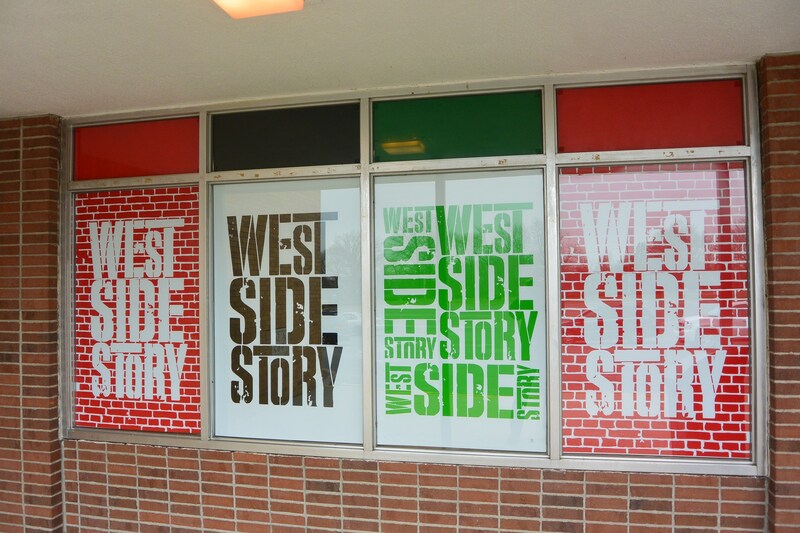 Its 2008 production of West Side Story was named one of the top five “High School Showstoppers” in the country by the USA Today Weekend magazine.